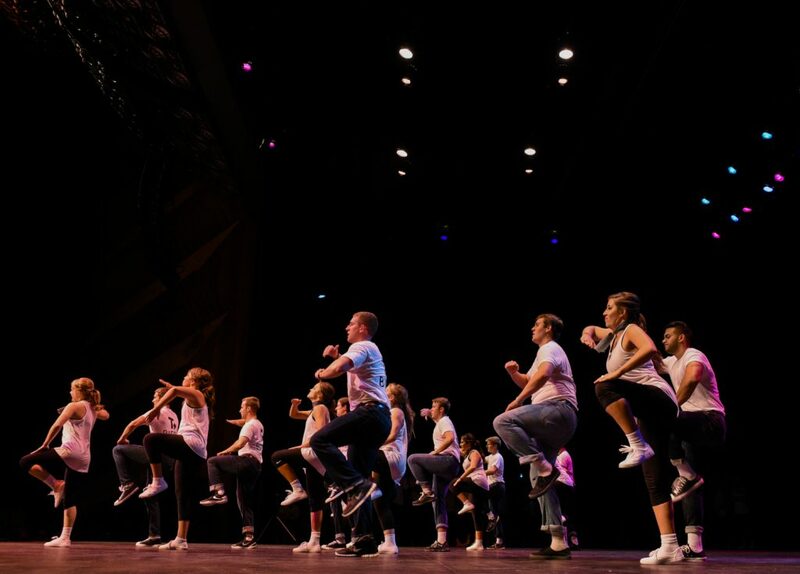 Chi Omega sorority members and Sigma Nu fraternity members do backflips across the stage as they close out the show with their “Banding Together to Find Our Sound” performance at Shenanigans. 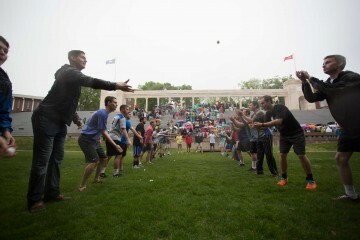 Shenanigans was an annual fundraiser hosted by Kappa Delta sorority. Phi Mu sorority members dance in a line for their “Banding Together the 70s” routine during Shenanigans on Oct. 4. 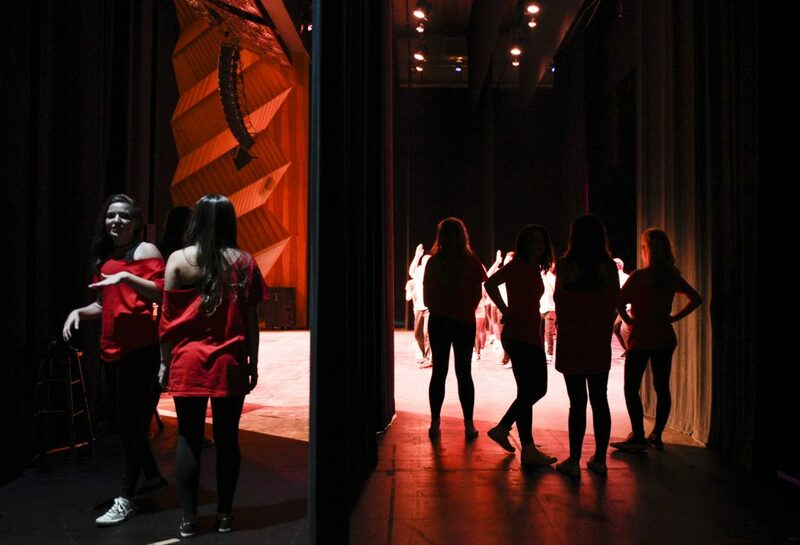 The women of Chi O stand backstage during their performance. 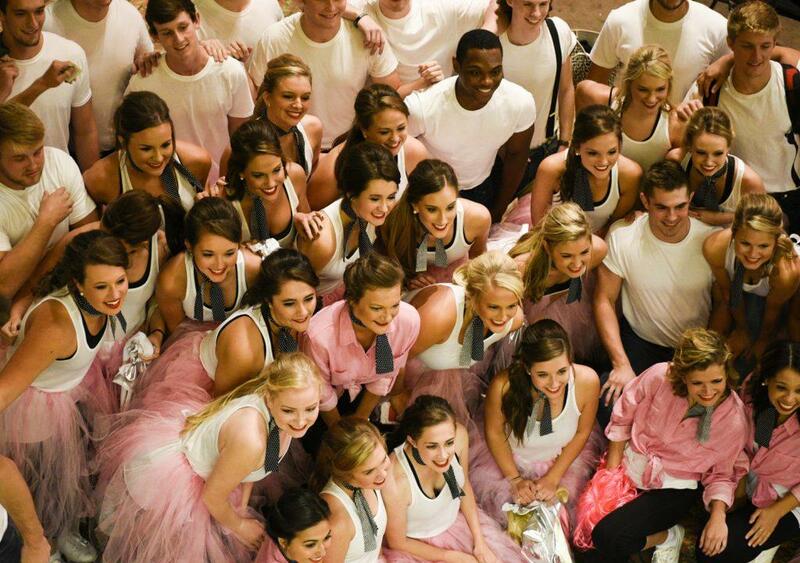 The Sigma Nus and the Chi Os were last to go on stage. After a costume change, Phi Mu members take the stage again for their “Battle of the Bands” performance. They performed alongside members of Phi Delt. AOPi members pose for a photo in the SKyPAC lobby before their Shenanigans performance. 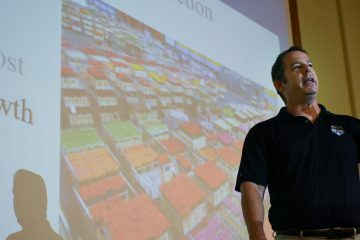 The AOPis performed alongside Pi Kappa Alpha fraternity. 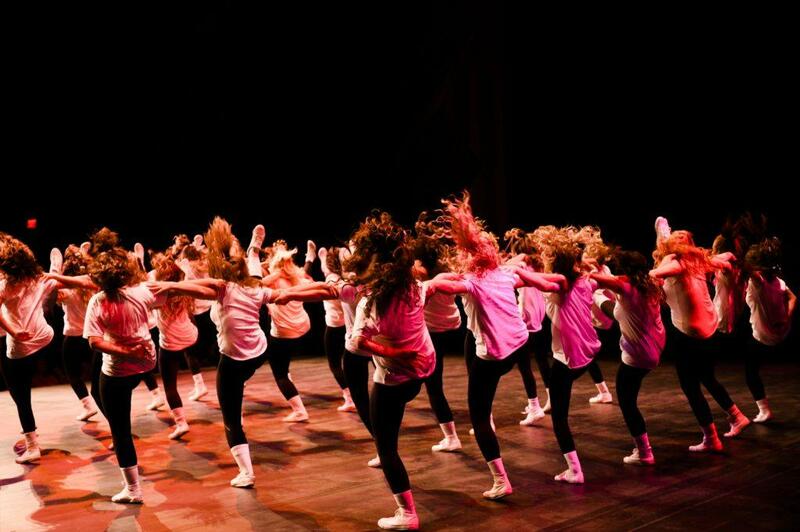 AOPi and Pike members dance together during their “Banding Together the 70s” show. The AOPis and Pikes walked away with the first place trophy. 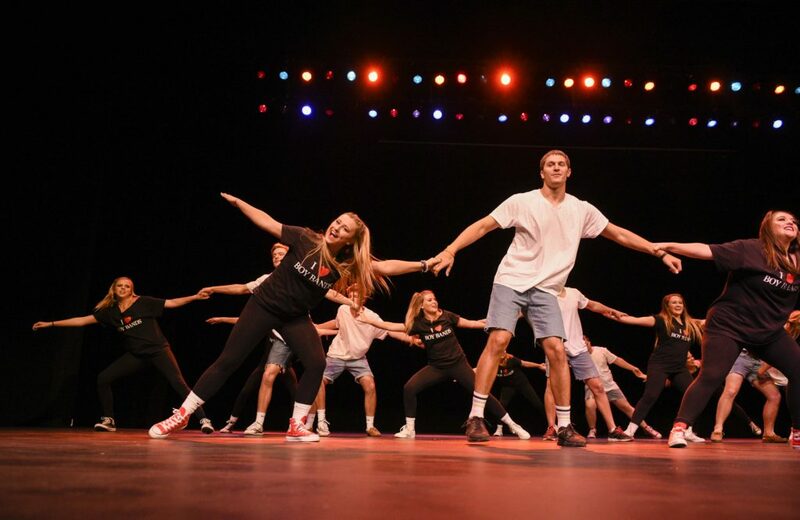 Members of Alpha Xi Delta sorority, Kappa Alpha order and FarmHouse fraternity perform their “Evolution of Boy Bands” routine on Oct. 4 at the SKyPAC theater. 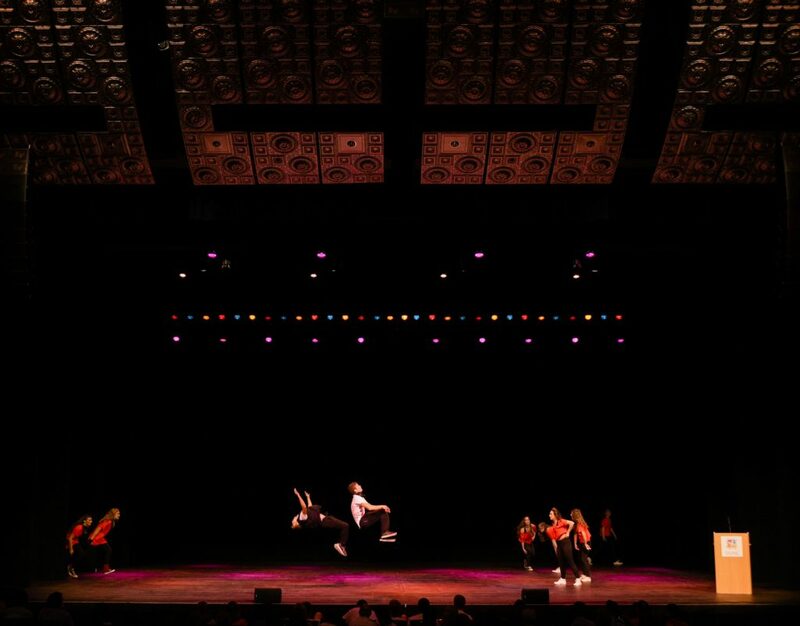 The Shenanigans event, a fundraiser for KD, packed the theater to its capacity. 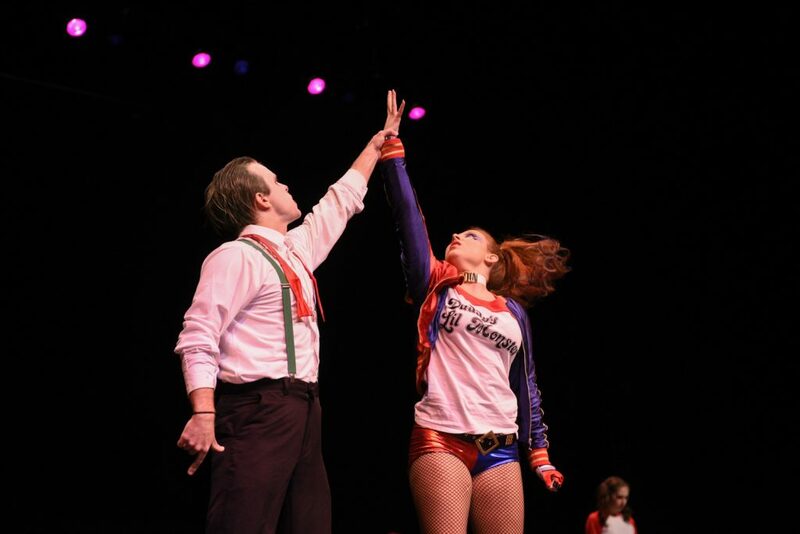 LaGrange senior Schuyler McCaig raises Newburgh, Indiana, sophomore Maxi McDaniel’s hand during a performance. Their show featured re-enacted scenes and sound bites from Suicide Squad. 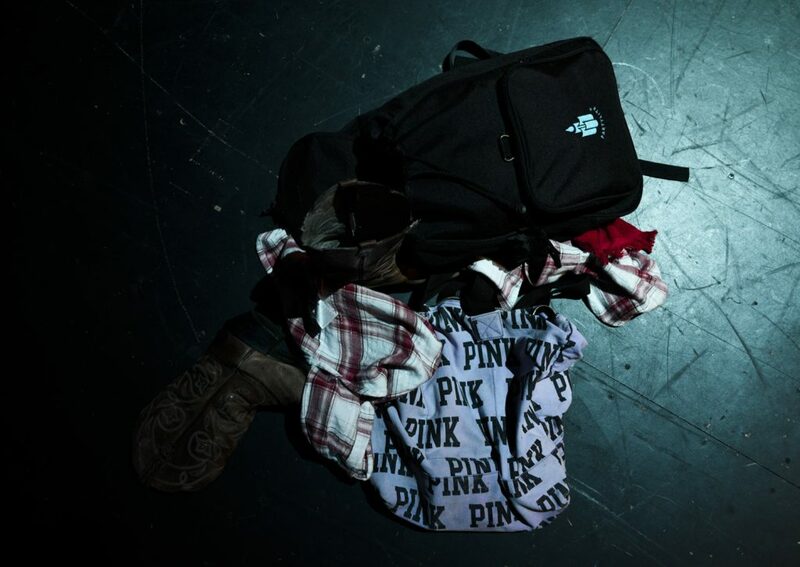 Clothes from the first half of Kappa Sigma fraternity’s show lay on the floor backstage. 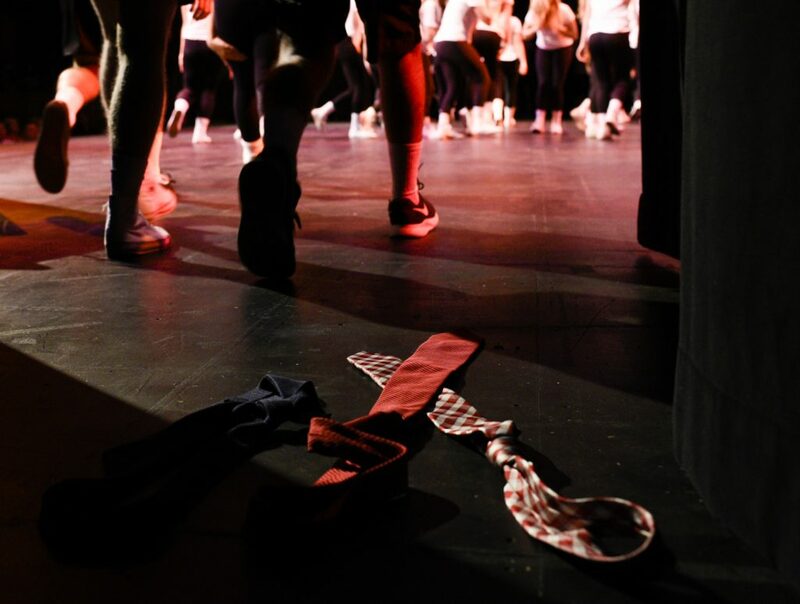 The backstage area was constantly abuzz with activity as some fraternities and sororities had as many three or four costume changes during their performances. 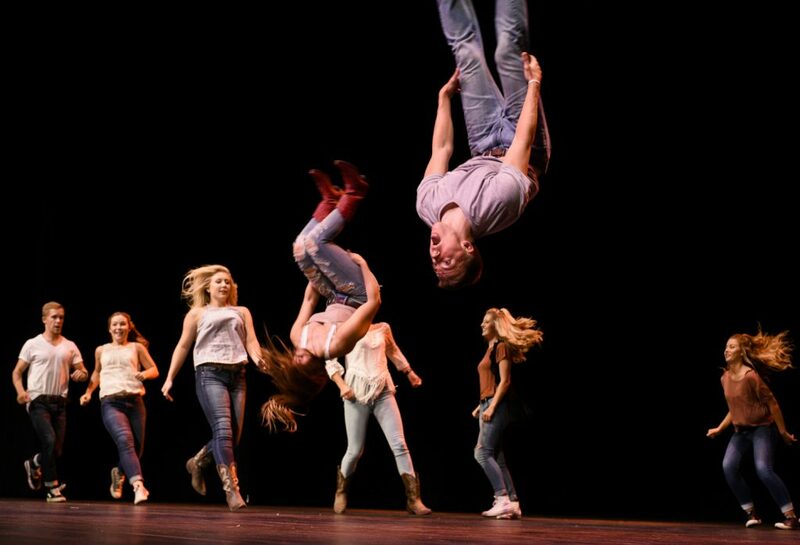 Members of Alpha Delta Pi sorority and Phi Gamma Delta fraternity do backflips for their Footloose-themed performance at SKyPAC on Oct. 4. 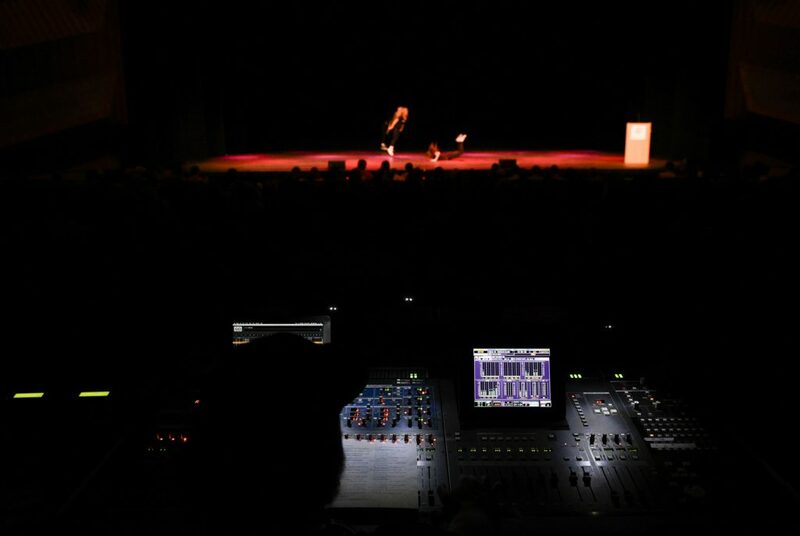 A member of the SKyPAC technical crew runs sound during Shenanigans. Each act consisted of several songs stitched together with lip-synced conversations and skits in between. 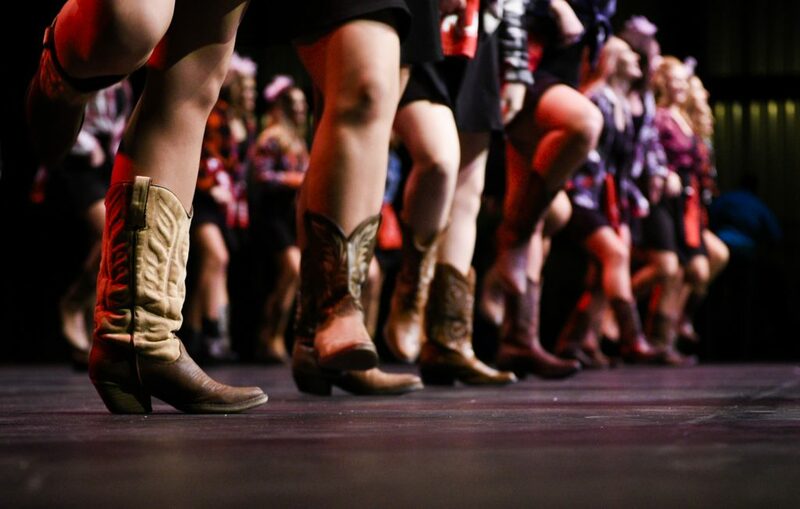 Alpha Gamma Delta members dance in cowboy boots during their “Let’s Make a Band” routine at Shenanigans, which featured dancing from several genres of music. Nic Huey likes three things: bikes, vintage cameras and exploring questionable places. 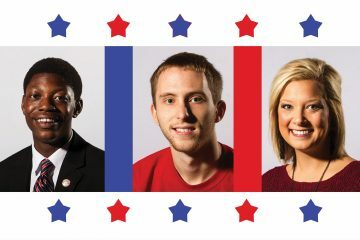 Nic is a sophomore from Atlanta.